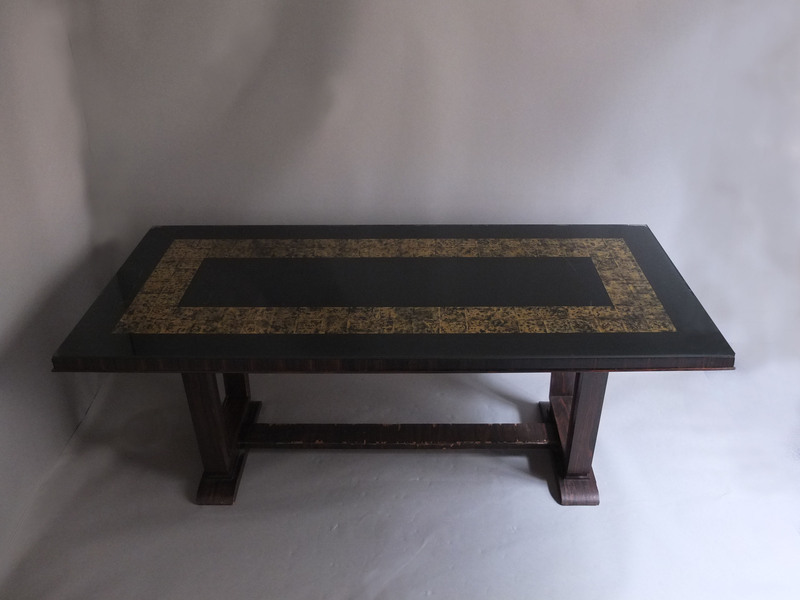 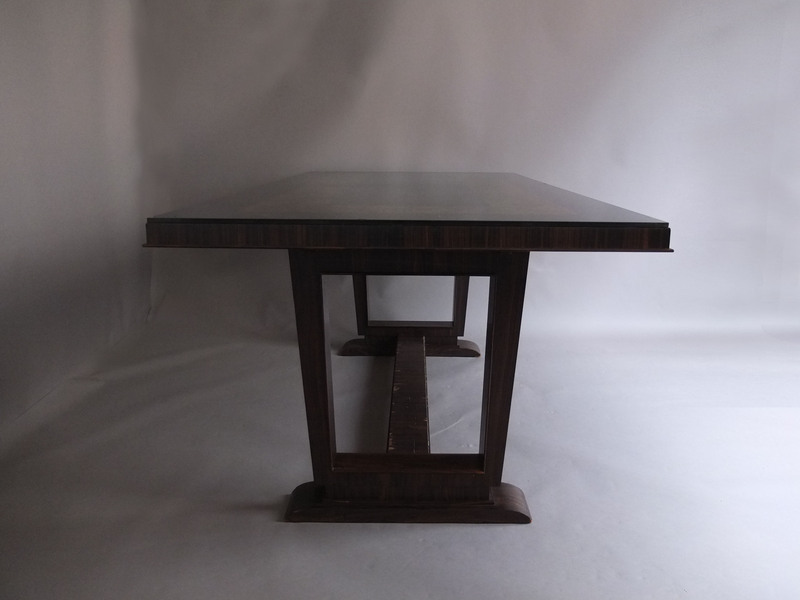 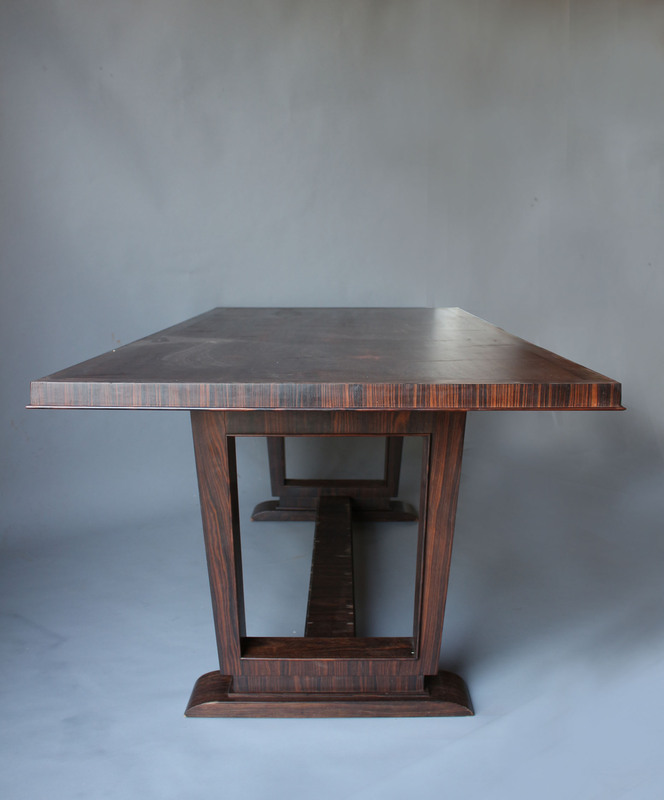 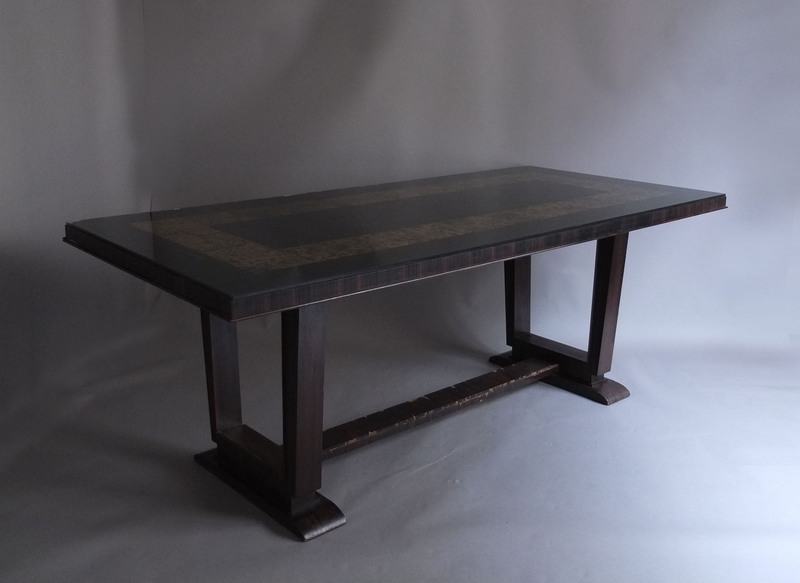 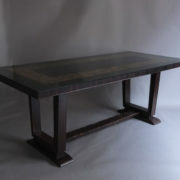 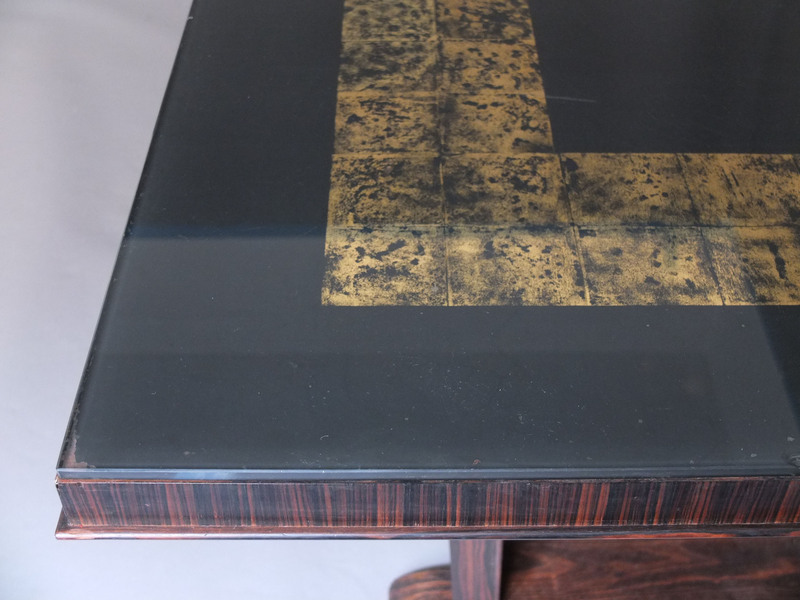 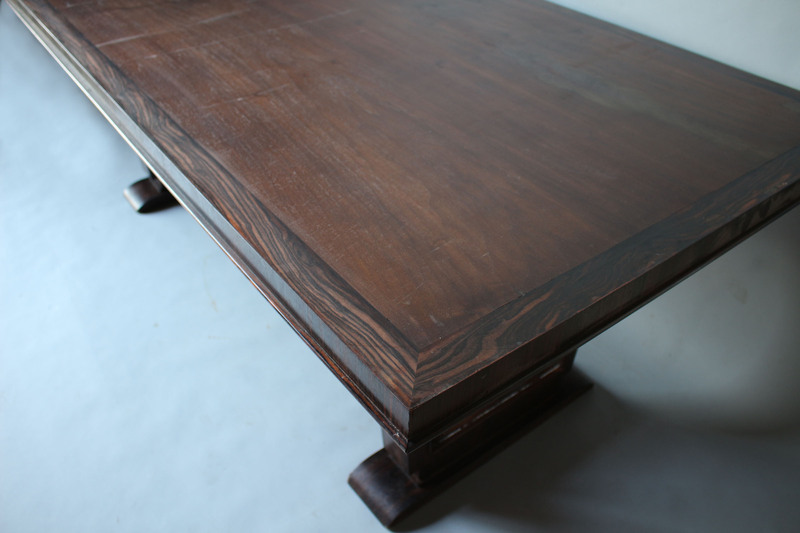 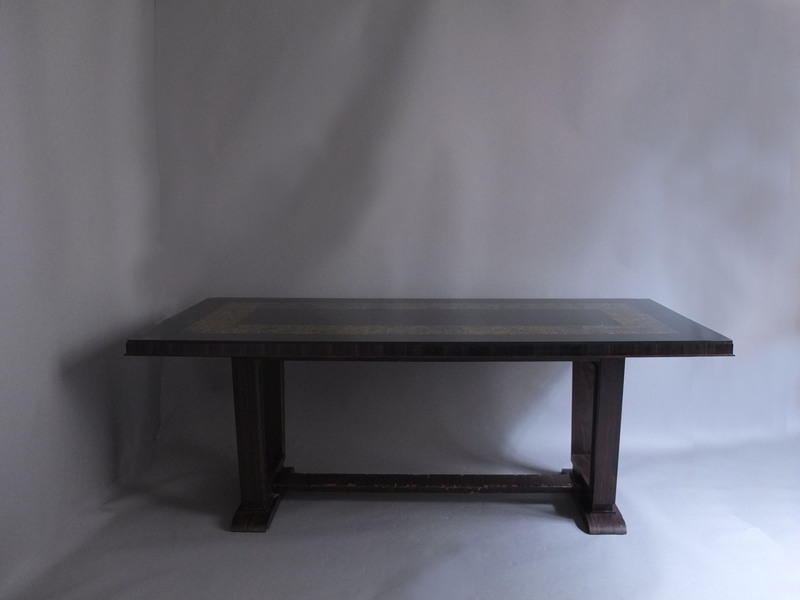 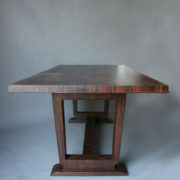 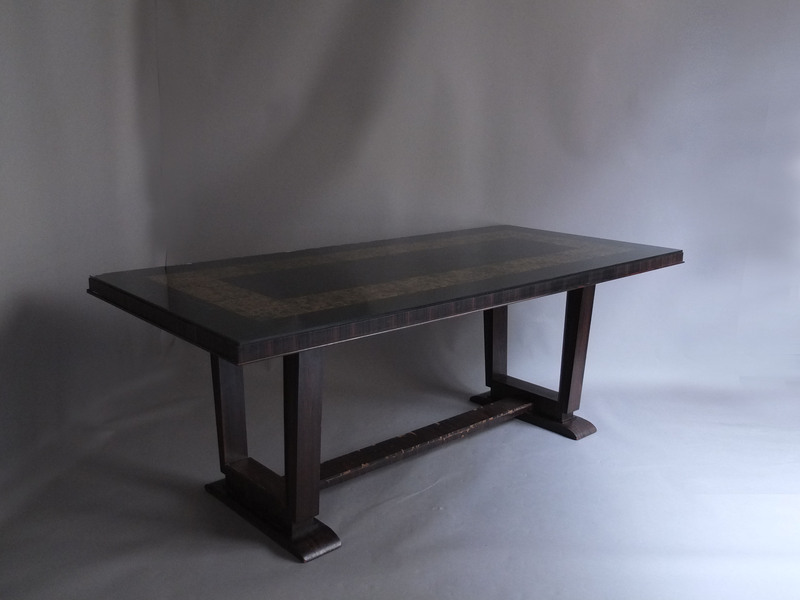 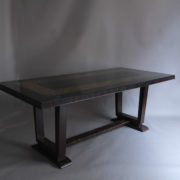 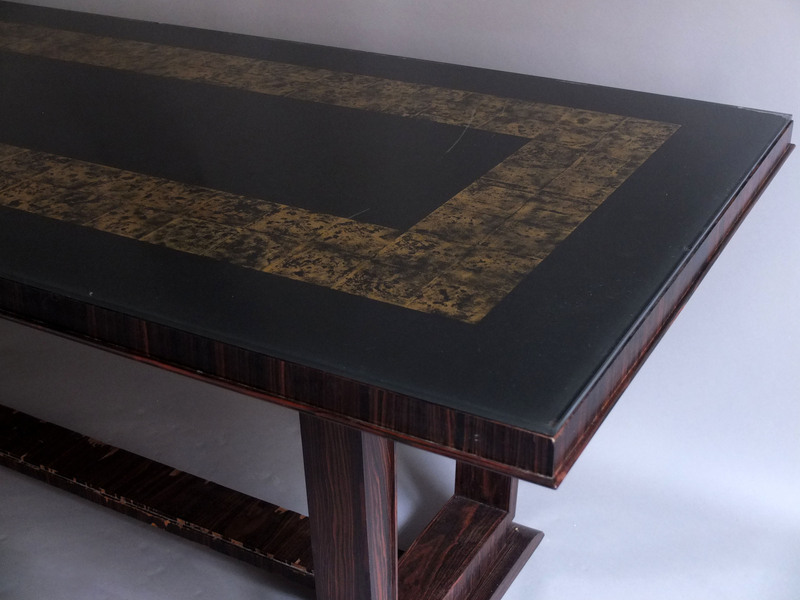 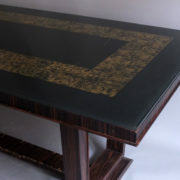 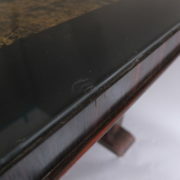 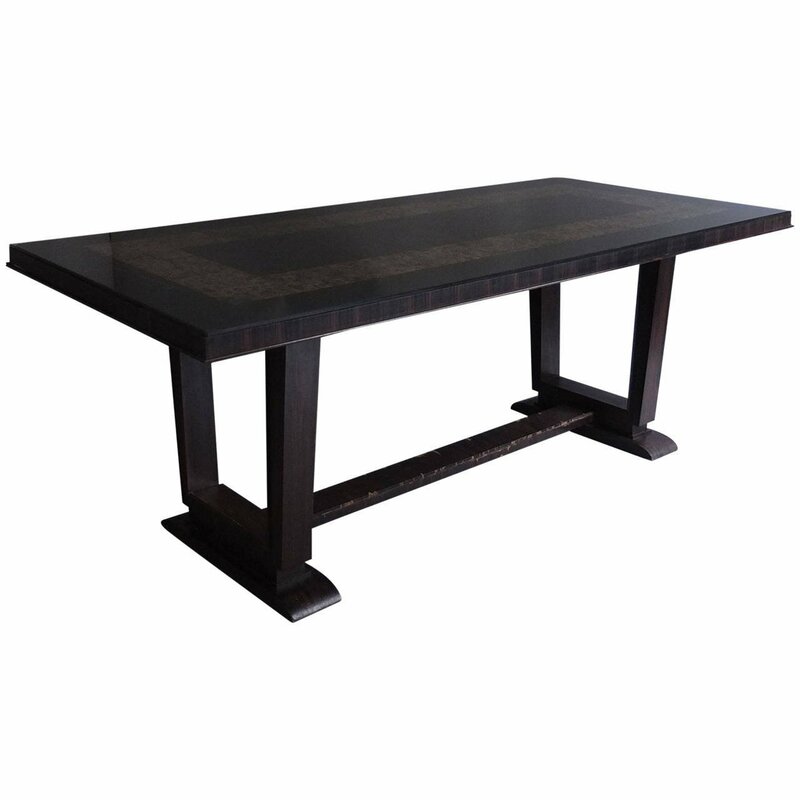 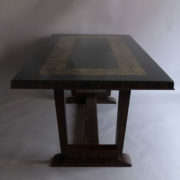 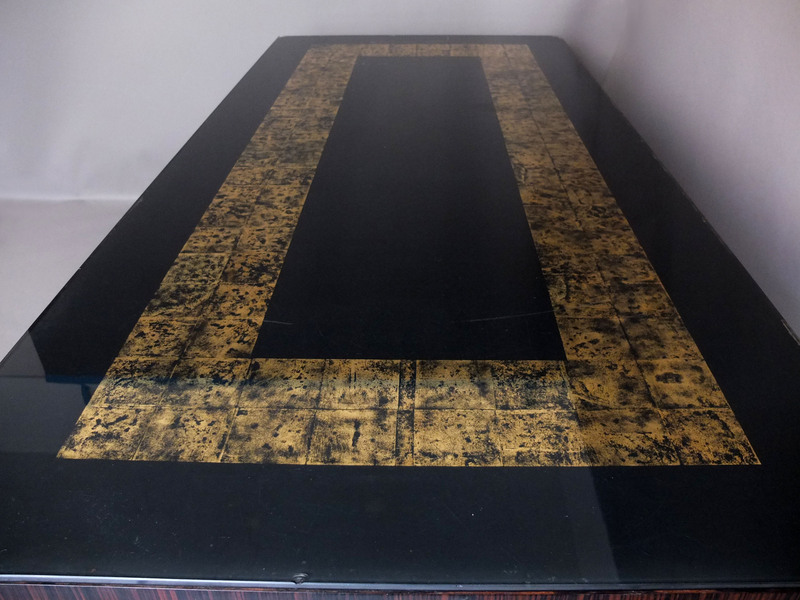 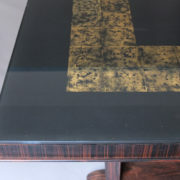 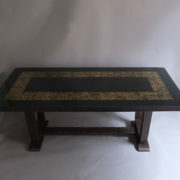 Fine French Art Deco Macassar ebony dining or writing table with a black and églomisé glass top by Paul Frechet. 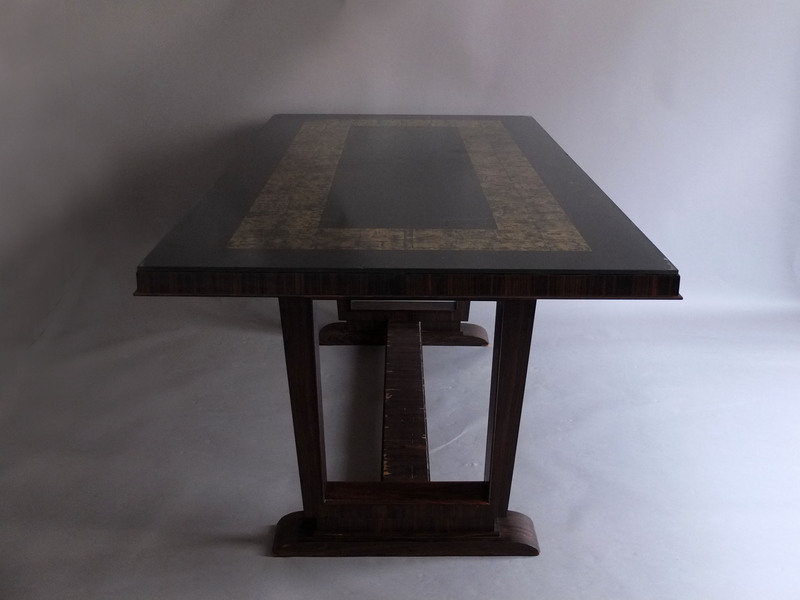 Can be used without the glass top. 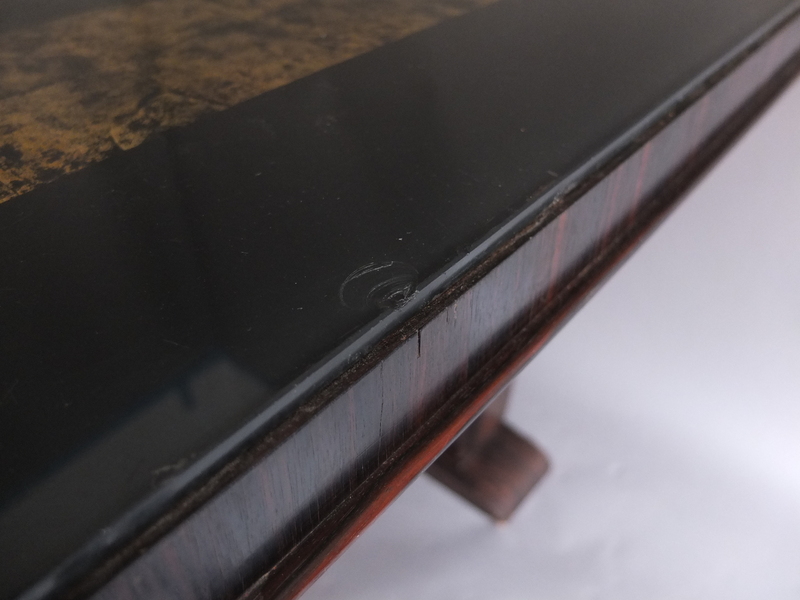 Good, Minor wear consistent with age and use. 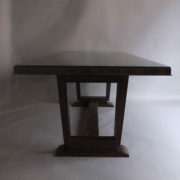 Chips and nicks on glass but can be used without the glass top. 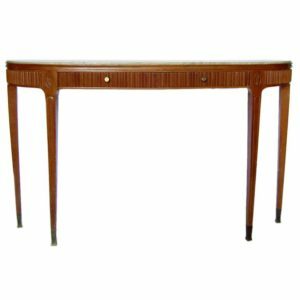 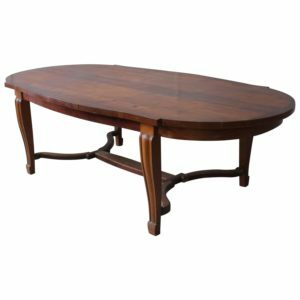 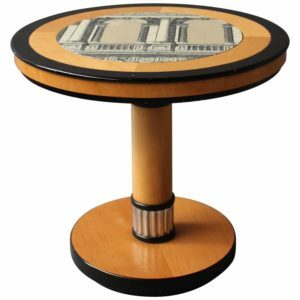 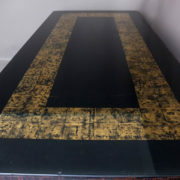 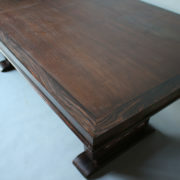 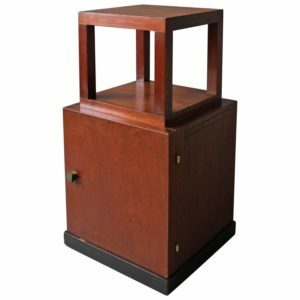 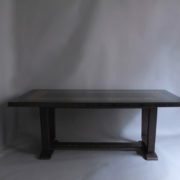 Soyez le premier à laisser votre avis sur “French Art Deco Dining or Writing Table by Paul Frechet” Annuler la réponse.